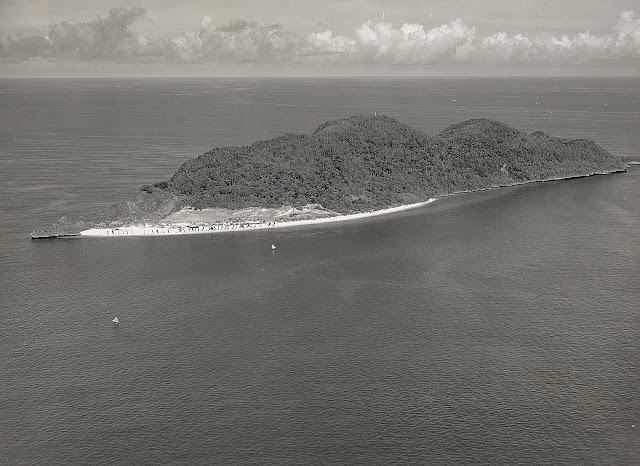 A photograph of Fortune Island off the town of Nasugbu taken in 1935. 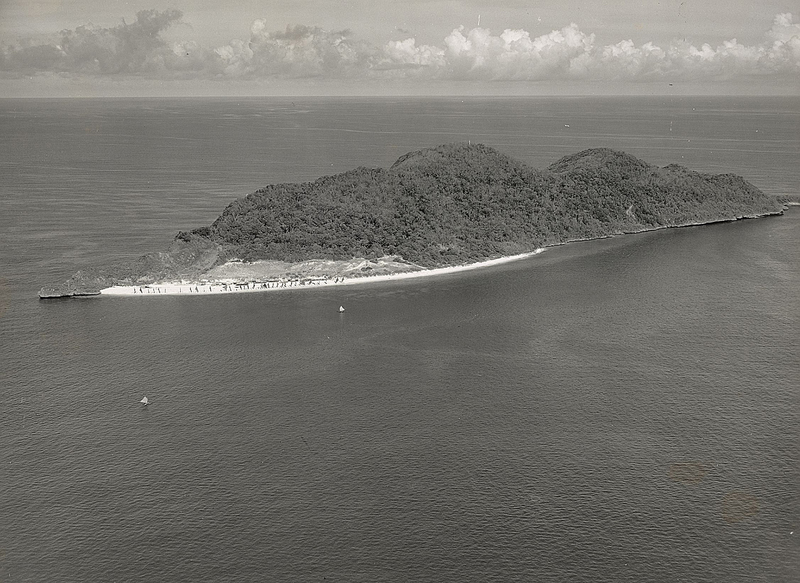 Image source: United States National Archives. In this page, we feature two photographs of Fortune Island off the town of Nasugbu in Batangas. Both have been downloaded from the United States National Archives. 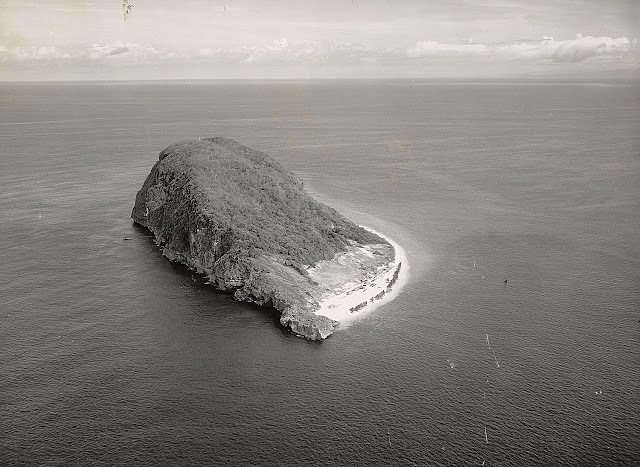 Both pictures were captioned “Fortune Island, west coast of Luzon, P.I. (for Philippine Islands)”. They were taken from a plane flying from Nichols Field in Pasay on 26 June 1935. The original high-resolution picture above may be downloaded from this page. Below, a colorized version of the picture above courtesy of Algorithmia. The second picture, taken from a different angle, is shown below. The original high-resolution version may be downloaded from this page. 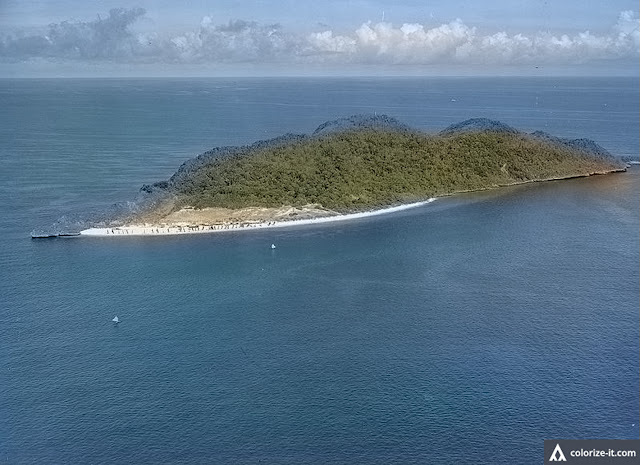 Below is a colorized version of the second photograph courtesy of Algorithmia. A colorized version of the second photograph courtesy of Algorithmia.